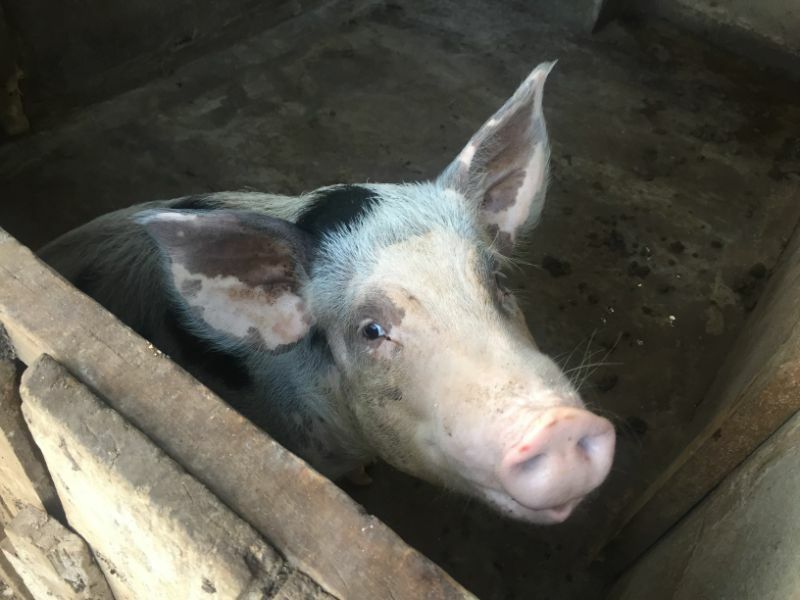 This little piggy went to market... Well, actually she didn&apos;t. She is the mother of a group of piglets we purchased as part of a project we launched to provide self-sustaining funds to some ongoing programs in Nicaragua. She was not too happy with Pat when he started to haul her piglets away! We are seeing more economic fallout from the political crisis that began last April. As you may remember, last year we provided some immediate disaster aid in the wake of the crisis when food was scarce in some areas. 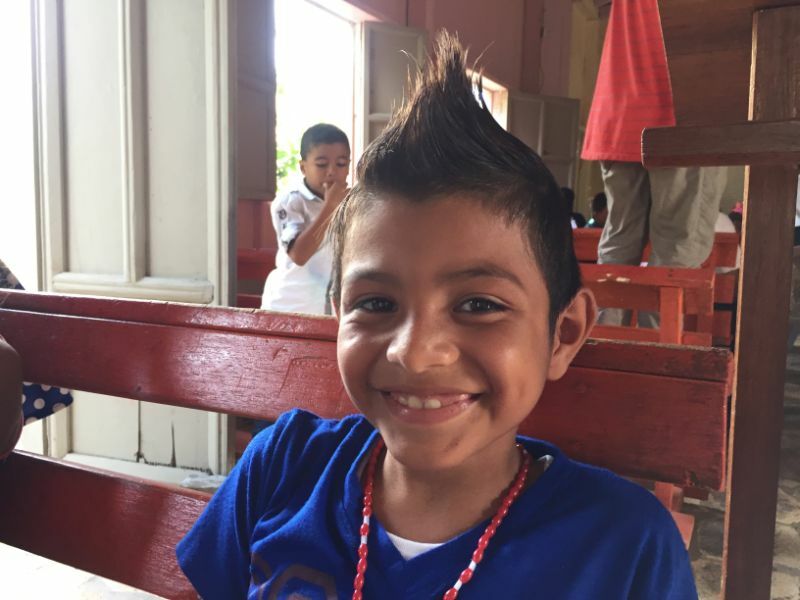 However, with no end in sight, we are now looking towards projects to help Nicaraguans develop and maintain reliable sources of income for their programs through their own efforts. Participants receive 10 piglets and feed for 4 months. In return, they agree to continue the project through reproduction and sales to create a revolving source of income. 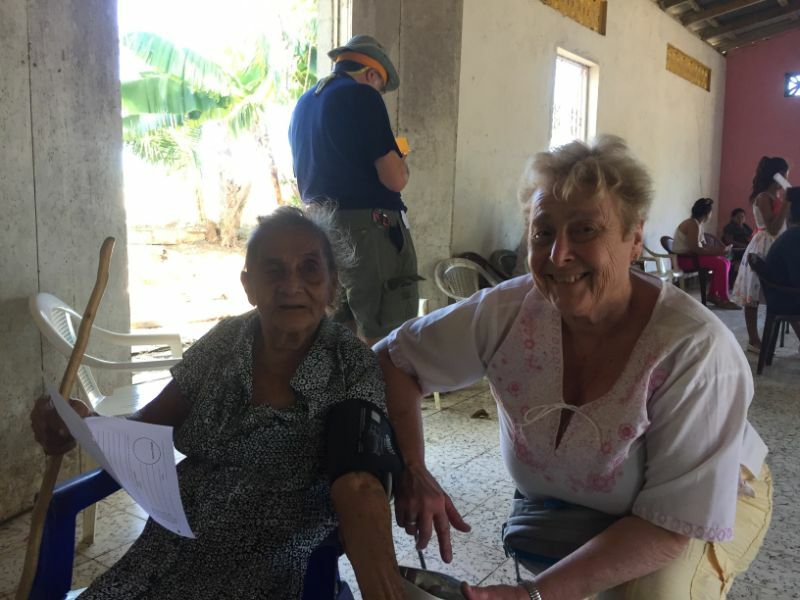 The ability to make the initial investment is what they lack, but their desire to work and passion for their individual missions are inspiring. 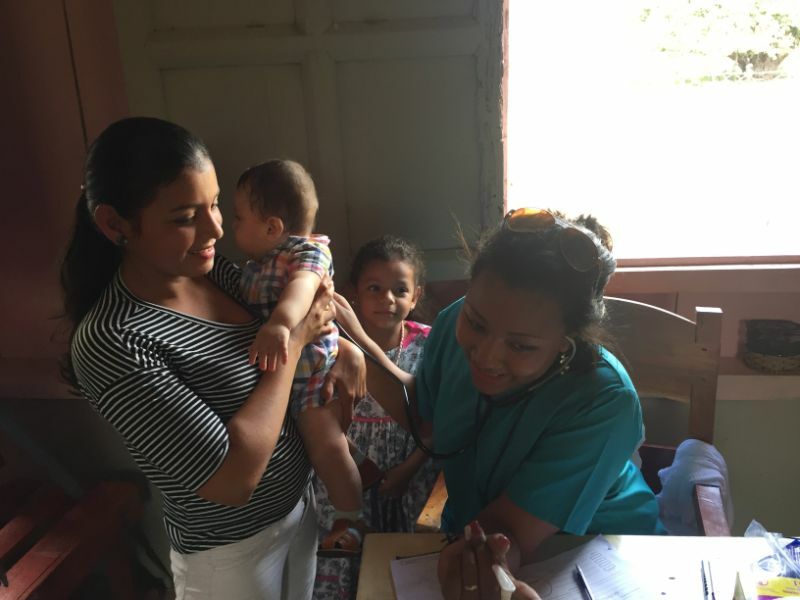 Currently the program is being used to fund education for the seminary in Granada, a medical clinic in the northern region of Boaco, a retreat center in Rivas, and a school for children in a remote rural region north of Camoapa. Click on the above video link for a laugh as Pat loads the pigs up for transport to the Granada seminary. Piglets are placed in a sack and a hole is cut in the bag for their snout. This keeps them safe and from jumping out of the pickup truck! 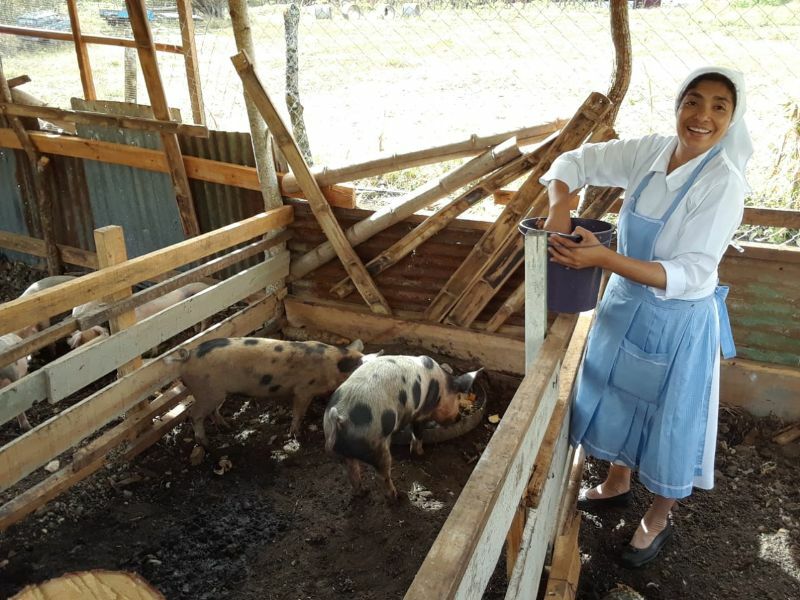 Above, the Sister feeds the pigs in Boaco that will be used to fund medicine for their clinic, and 5 future priests of the Diocese of Granada receive the piglets in support of their education. We are also hoping to support economic opportunity through microfinance projects. 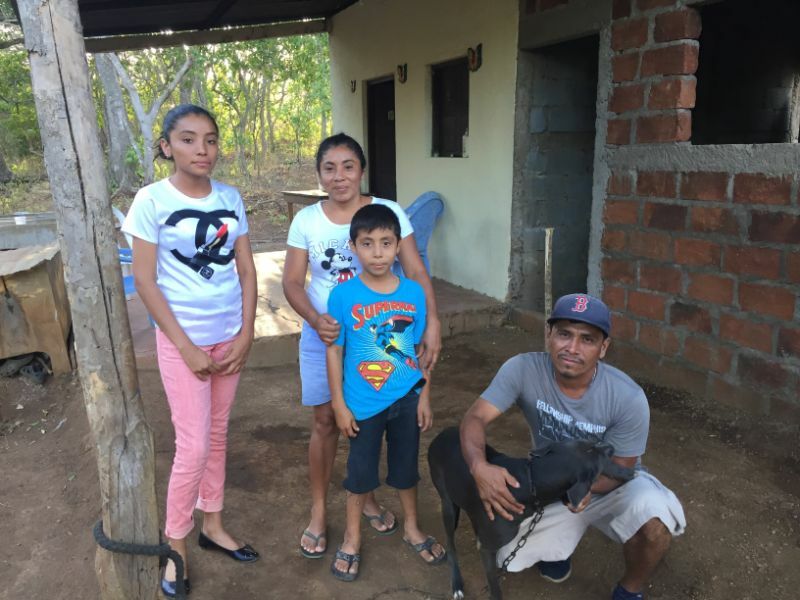 We had the opportunity to help a rural family realize their dream of expanding their chicken farm. Johnny, Maria, Scarlet and Esteban do all the work raising their chicks to sell. They purchase the "pollitos", buy quality food, care for them, clean the coop, and in 45 days butcher and sell them to their neighbors. The production facility is simple & low cost, but effective. And the neighbors say that Johnny has the highest quality chickens available in the community. 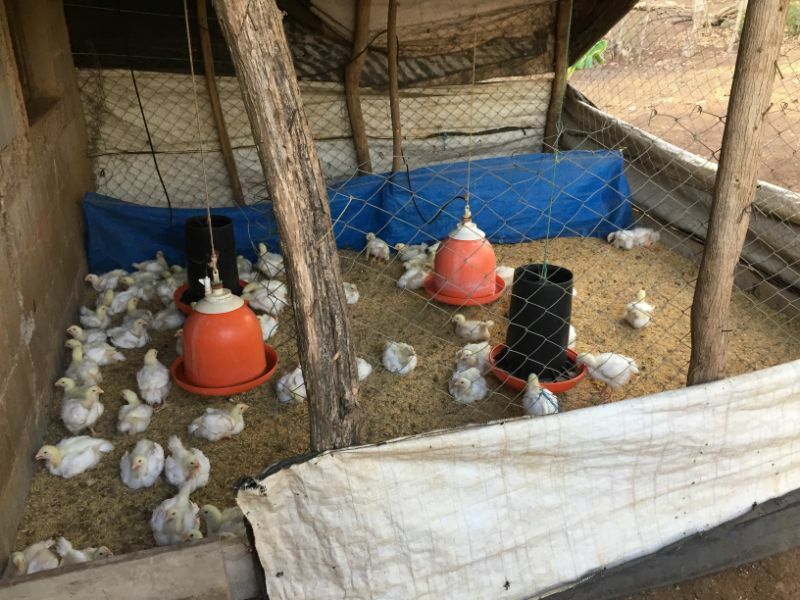 With a loan of less than $250, they were able to purchase 100 chicks and their food for 45 days. They expect $150 net profit after the sale, which is enough for their family of four to live on for a month! 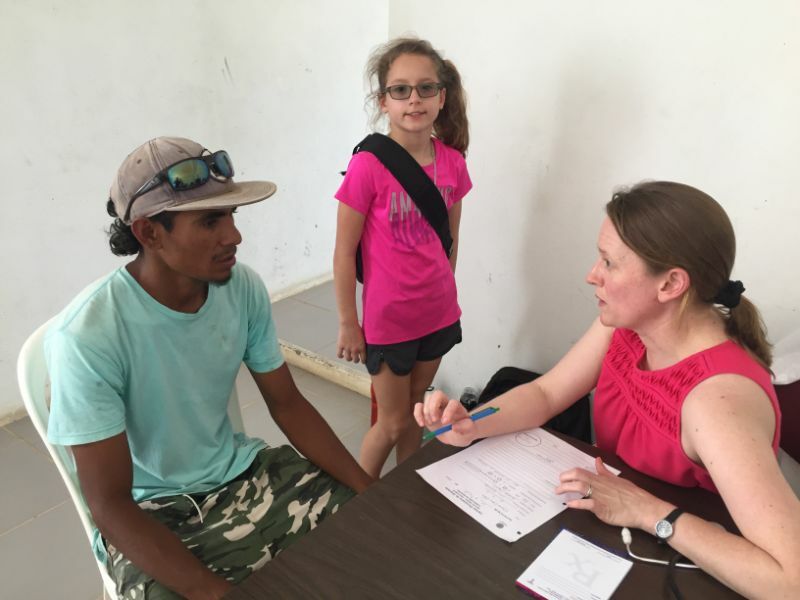 Visits to the medical clinic continue to rise steadily each month. 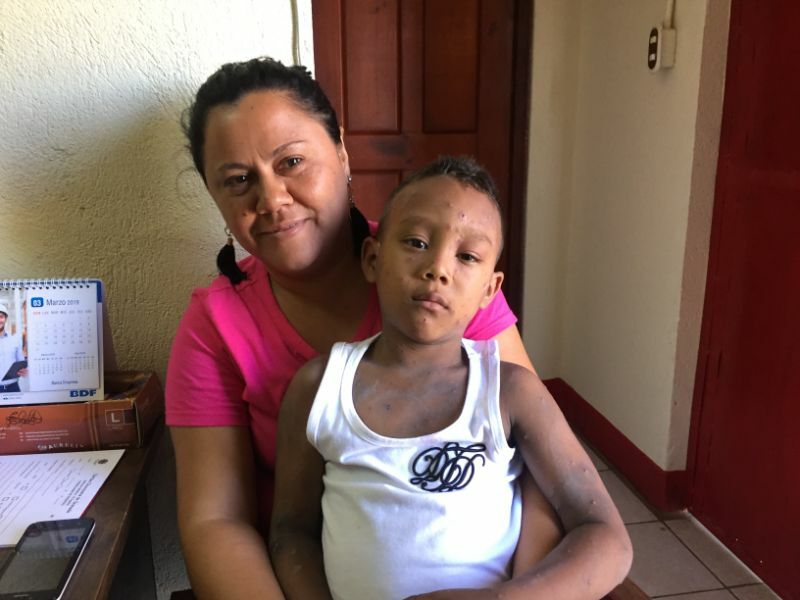 The photo above shows a young patient diagnosed with chicken pox, along with his mother who was grateful for the care of Dr. Meyling and her team. We often take for granted the basic vaccines we have access to here in the States. 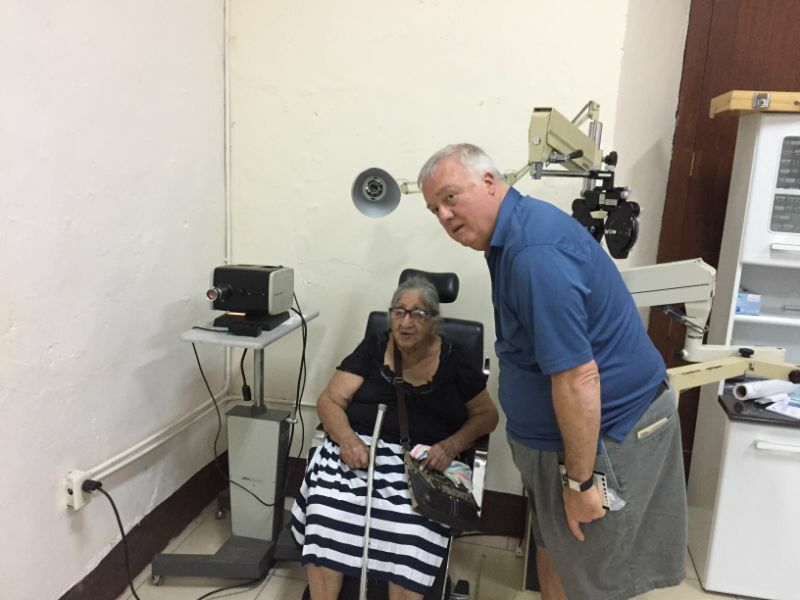 As always, thank you for your interest, support and prayers for our mission in Nicaragua. 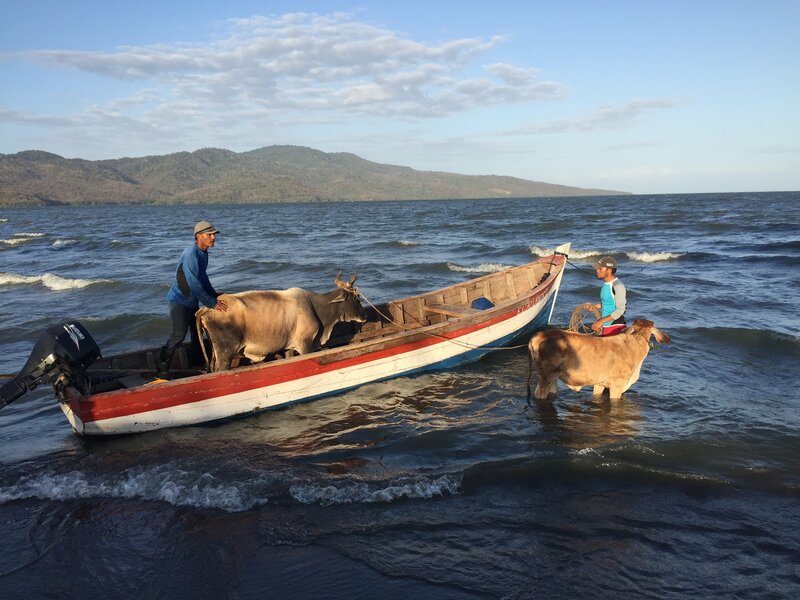 We will continue to seek creative ways to work with our Nicaraguan friends and support them during these difficult times, just like our dear friend, Fr Jimmy Jeanfreau, did when he helped unload these two cows from a panga boat on windy day - but that is a story for another time! Many blessings to each of you!